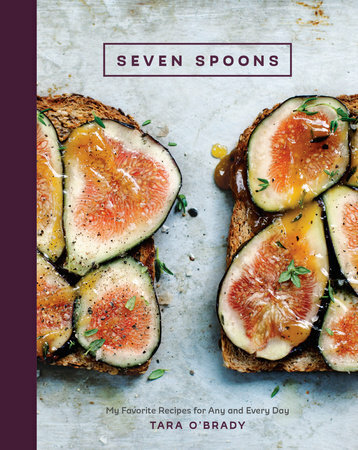 Seven Spoons was not a blog that I had come across before in my reading. It is a very wordy blog, with recipe posts interspersed with tales of life. the book is much the same, along with a book introduction, each recipe begins with a tale of how it came about and background. You can read a short excerpt from the book here and here, along with a few recipes from the book – Bee-Stung Fried Chicken, Blurry Sunrise Smoothie, and Avocado Toast. It is a book that has a nod towards healthy living, but the main theme is more a fusion of cuisines from India, Canada, and England, much like the blog by Tara O’Brady. The recipes cover a variety of mealtimes, breakfast, lunch, soups and starters, supper, vegetables, sweet treats, and then also includes a section on basics like ricotta and yogurt too. But I am a visual person, and for that reason I wish it had more pictures of the finished products, otherwise how do I know I want to eat it (only some of the recipes have pictures) but the pictures it does have are very enticing. I decided to treat Mr M by testing out the recipe for Vietnamese Coffee Ice Cream (recipe also available in this post on her blog). 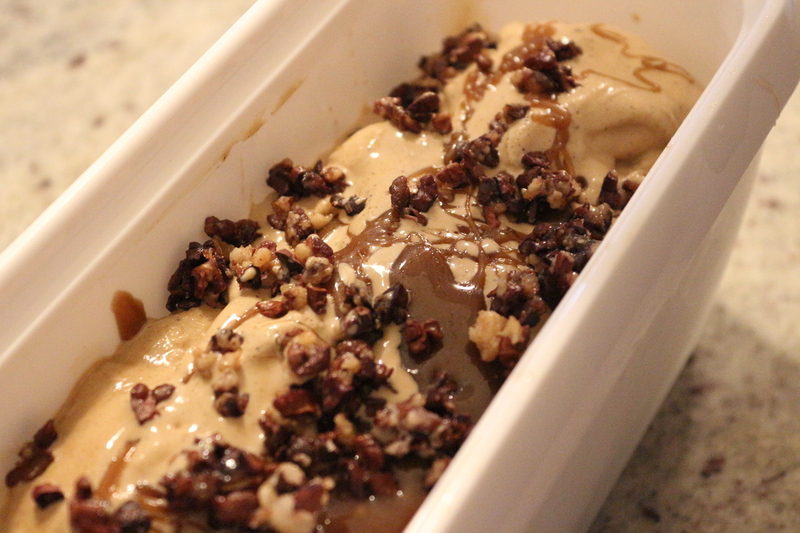 The ice cream mix itself is pretty straightforward to put together, just heat the ingredients together with the coffee, leave to infuse for twenty minutes, strain, then chill ready for churning into ice cream. 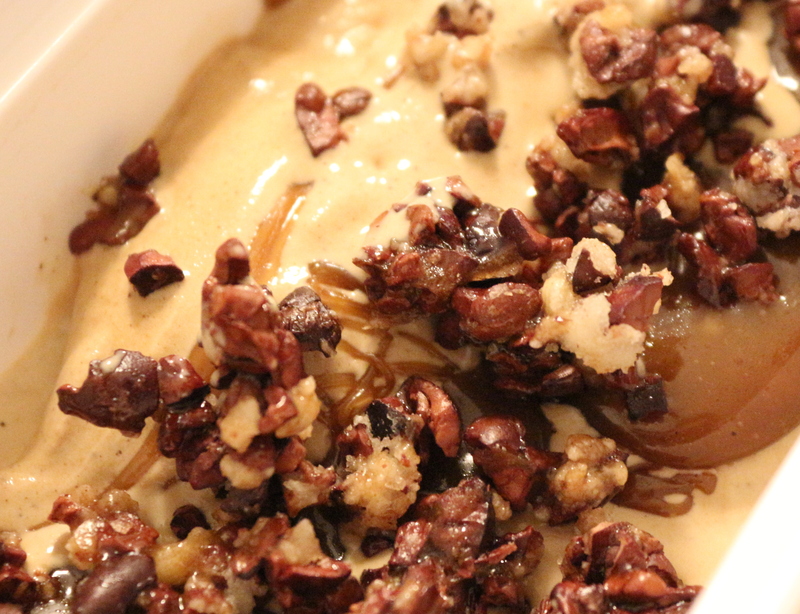 The other bits – espresso caramel and candied cacao nibs are a little more tricky, but not unachievable with a tiny bit of effort! Mr M very much enjoyed it, and I munched on the candied cacao nibs quite happily, and even tried a bit of the others, but I am not a coffee fan. Overall I am looking forward to trying out more of the recipes and expanding my repertoire, some of the recipes include some slightly more unusual ingredients, but I would say it is not out of the reach of a reasonably confident home cook, although perhaps not one for a beginner.